Both are referred to as “bitcoin”. The Bitcoin protocol enables payments to be sent between users without passing through a central authority, such as a bank or payment gateway. This is often referred to as a Peer-to-Peer transaction. The financial transaction is created and held digitally. Bitcoins aren’t printed, like fiat currencies. They are produced by computer nodes all around the world, using free open-source software. 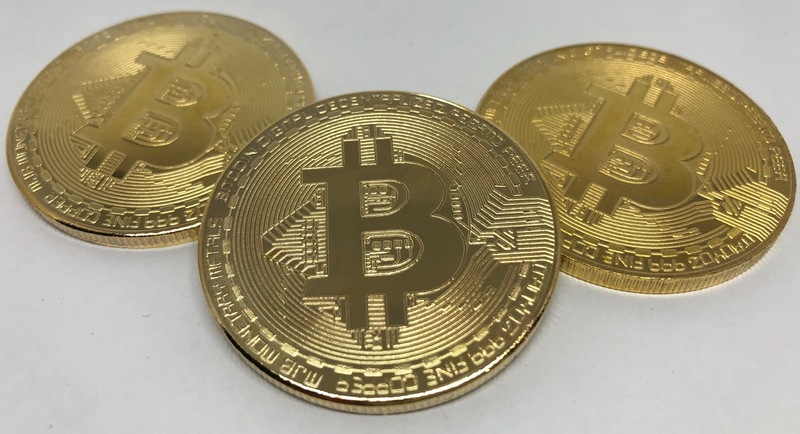 Bitcoin was the first working example of a cryptocurrency, an asset class that shares some characteristics of traditional currencies but is significantly different as will be described in more detail below. Verification of transactions is based on cryptography. How does bitcoin differ from a traditional fiat currency? As long as both the buying and selling party agrees to it, bitcoin can be used to purchase anything. In this way it can be seen as similar to fiat currencies like US dollars, euros or yen, which can also be traded digitally. One of bitcoin’s most important characteristics is that operates on a decentralized platform. No single institution controls the bitcoin network. The Bitcoin protocol is maintained by a group of volunteer coders, and run by an open network of dedicated computers spread throughout the world. Bitcoin is not subject to government or financial institution meddling… The value of bitcoin is determined by traditional supply and demand principles. Fiat currencies (dollars, euros, yen, etc.) have an unlimited supply – central banks can issue as many as they want, and can attempt to manipulate a currency’s value relative to others. Holders of the currency (and especially citizens with little alternative) are held to ransom by these institutions. E.g. The Zimbabwean dollar, once equivalent to a US dollar, was completely delisted as the government made many ill-advised decisions leading to hyperinflation. Those folks that held their entire wealth in Zimbabwean dollars were left penniless thanks to a rogue government. Had they the option of holding bitcoin at the time they would have been immune to the recklessness of the Zimbabwean central authority. With bitcoin, on the other hand, the supply is tightly controlled by the underlying algorithm. A small number of new bitcoins trickle out every hour, and will continue to do so at a diminishing rate until a maximum of 21 million has been reached. This makes bitcoin more attractive as an asset – in theory, if demand grows and the supply remains the same, the value will ultimately increase. While senders of traditional electronic payments are identified (for verification purposes, and to comply with anti-money laundering and other legislation), users of bitcoin in theory operate in semi-anonymity. Since there is no central “validator,” users do not need to identify themselves when sending bitcoin to another user. When a transaction request is submitted, the protocol checks all previous transactions to confirm that the sender has the necessary bitcoin (the current balance must be greater than the transaction bitcoin amount) as well as the authority to send them. The system does not need to know his or her identity. This does not make bitcoin an ideal currency for criminals, terrorists or money-launderers. Once a criminal’s address is made known it is possible for the Bitcoin developers to ensure that those funds can no longer be used or transferred. Unlike electronic fiat transactions, bitcoin transactions cannot be reversed or changed in any way. There is no central authority that can authorize an adjustment to a prior transaction. If a transaction is recorded on the Bitcoin network, and if more than an hour has passed, it is basically impossible to modify. The smallest unit of a bitcoin is called a Satoshi (named for its inventor). It is one hundred millionth (8 significant decimals) of a bitcoin (0.00000001). At today’s price 1 Satoshi is worth 6.5 thousandth of a cent… Or 1USD is worth 15,312 Santoshi’s. This could conceivably enable microtransactions that traditional electronic money cannot.